Foster parents are in higher demand in Orange County after a new state law that took effect at the beginning of the year aims to place at-risk kids into permanent homes at a faster rate, said county officials. Orange County has until February 18 to come under compliance with this new law. This has placed a great need for licensed foster parents to not only provide homes for new foster children entering the system but also provide co-training for families seeking licensing. If you know someone who is a licensed foster parent in Orange County that is interested in helping the county train families by sharing firsthand experiences, please let us know by emailing orphans@saddleback.com. Local orphan advocates at homes such as Orangewood Children and Family Center say the law also calls for major changes at group homes so that “children don’t spend years in what is referred to as ‘congregate’ or ‘residential’ care until they age out of the child welfare system at 18,” according to the Orange County Register. “(The new law) increases our need for good foster homes exponentially,” said Elizabeth DenBleyker, public information officer for Orange County’s Social Services Agency. DenBleyker told the Register that 100 to 120 more such homes are needed. Advocates favor the general goal of the new law. However, Orange County officials say “the new rules also present a challenge to find enough people – either relatives, other significant adults in a child’s life or foster parents – who can serve as what is being called ‘resource families’ for children whose biological parents are deemed unfit to raise them’,” the Register reports. Read “Wanted: More Foster Parents in Orange County” beginning below. Local advocates for children are scrambling to find more foster parents in Orange County, a result of a new state law aimed at placing abused kids into permanent homes faster. The law also figures to alter operations at the county’s best-known children’s home, Orangewood Children and Family Center. The broader goal of AB403, which took effect Jan. 1, is to get traumatized youth into stable and supportive living situations, preferably in a family-like setting, as soon and as permanently as possible. It sets a limit of 10 days on the time a child can spend in a temporary emergency shelter such as Orangewood. The law also calls for major changes at group homes so that children don’t spend years in what is referred to as “congregate” or “residential” care until they age out of the child welfare system at 18. Group homes typically have six or more children housed together under the supervision of paid staff. “(The new law) increases our need for good foster homes exponentially,” said Elizabeth DenBleyker, public information officer for Orange County’s Social Services Agency. DenBleyker pegged the need at 100 to 120 more such homes. The county has about 400 licensed resource family homes, but only about one-third are prepared and ready to take in children, DenBleyker said. This weekend on the Saddleback Church bulletin, Pastor Phillip Congelliere, campus pastor at Saddleback Aliso Viejo, and his wife Alex, share how their painful struggle with infertility ultimately led them to explore adoption. As God opened their hearts to the possibility of being parents to a child in need of a family, they were presented with a unique and miraculous opportunity to adopt their precious daughter. At Saddleback, we know that the struggle with infertility is a challenge faced by so many couples. We also know that the process of starting to think about growing your family through adoption or foster care can be overwhelming and confusing. The good news is – the Orphan Care Initiative is here to support you! You’re not alone – you can hear from people just like you who have already walked this path. If you are struggling with infertility, or if you would like more information on how you can adopt or foster, we invite you to join us next Wednesday from 6:30-8:30pm in the MO2 Gathering Room of the Saddleback Lake Forest campus for our monthly “ Thinking About Adoption or Foster Care ” gathering. There you will hear helpful overviews from adoptive and foster parents in our own church and have the opportunity to get your questions answered in a no-pressure environment. If you can’t make it to the gathering, we would still love to talk with you! You can call the orphan care line at 949-609-8555 or email orphans@saddleback.com to get connected and learn more. At the start of the new year, we want to take this opportnity to thank God for all he has done this year in helping orphaned children in Rwanda find forever families. Across Rwanda, orphanages have closed through the partnership of the Orphan Care Initiative, the local church in Rwanda, and the generosity of Sponsorship donors! Children who prayed each night for a family are now wrapped in the embrace of a mama and papa! The transformation happening in Rwanda would not be possible without the diligent work of volunteers in local churches across Rwanda who have given of their time, resources and talent to help families adopt. We want to take this opportunity to highlight these servant-hearted leaders whose love has led many of them to adopt. All volunteer social workers receive training in how to best assist adoptive families, often taught by Saddleback Church volunteers on PEACE trips. Last month, a large group of lay social workers were honored for their hard work and the accomplishment of helping families. They rejoiced together by praising God – and you can watch some of the celebration here! To become a sponsor or learn more, visit saddleback.com/sponsorship. This shot of my daughter is worth a million to me, but not because it’s a nice photo. Certainly people relate to it, and they’ve given me kind words about her gleeful expression, or how it takes them back to when Daddy pushing you on a swing was one of life’s greatest joys. Her delight’s genuine, and you can see it. But, while it’s great to create a good image, there are many things that are more important. What makes this image special is that in it we see changed lives – my daughter’s, my wife’s and mine. We adopted my daughter. I can’t imagine what it’s like for anyone to grow up without loving parents, but it makes me wonder whether she would have had moments like these. On the other hand, I now know what my wife and I would have missed; thinking what might not have been makes me weep. Too many children grow up without families. There are about 163million orphans in the world who have lost one or both parents (and one is too many). Consider, on the other hand, that there are about 1.4 billion families (households) if only about 1 in 9 [families] adopted one child – we could close every orphanage! Not every household can do so, but others would (and do) adopt two or more. And, of the 163 million orphans, many still have a parent and a viable family if we worked to help them remain in family and reunite with family. My point is that this should be a solvable problem. To be direct, what about you? If you’re thinking about enlarging your family, give it some serious thought. I wasn’t sure I wanted to adopt. If I’m honest, I was basically dragged into it. But my fears, concerns, worries and hesitation vanished the instant I held my little girl for the first time. Now I thank God that He didn’t let me off the hook on this one. When you become an adoptive parent you give a lot, but you get a lot more than you give. For every smile we’ve put on our little girl’s face, she’s put a hundred on ours. I think it’s one of God’s ways of teaching us what’s really important. Are you considering adoption? Come check out our monthly “Thinking About Adoption or Foster Care” seminar this Wednesday, January 6th from 6:30-8:30pm in the MO2 Gathering Room of the Lake Forest Saddleback Church campus, or call 949-609-8555 for more information. Feel what it’s like to go on an Orphan Care PEACE Trip in this amazing mini documentary from one of this summer’s Saddleback PEACE teams created by Chris Hartwell. 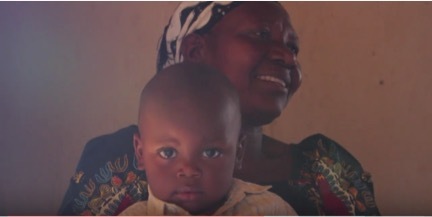 Get a taste of what it’s like to help train families and lay social workers in local churches in Rwanda, and sit in the home of Rwandan families who have adopted with the support of sponsorship. You will see the families that Saddleback Orphan Sponsorship helped. 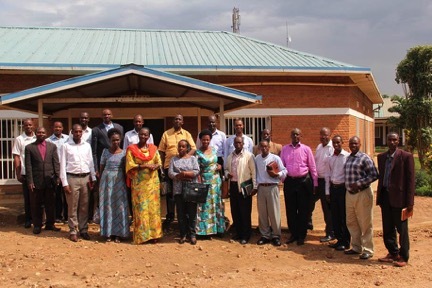 Sponsorship helped the Rwanda church do what the church is called to do. In this video you will see the faces of families with children rescued from the orphanage who now have a home. We are grateful to those who have given to Rwanda Orphan Sponsorship for making a difference in the Rwanda church, the Rwanda family and the life of a child forever. If you are interested in becoming a sponsor and helping children leave the orphanage in Rwanda, visit www.saddleback.com/sponsorship. If you would like more information on how you can go on a Rwanda Orphan Care PEACE Trip, email orphans@saddleback.com or call 949-609-8555.